It’s nice to win a big verdict. But it’s not nice when it gets reversed on appeal. You need to protect that victory – in the trial court, before it even gets to the appellate court. And when you lose in the trial court, having a solid record will give you the best shot at reversal on appeal and a new chance for the big win. I’m a good appellate attorney, with my own appellate law firm and a win record I’m pretty proud of. But I’m not good enough to win an appeal with a lousy trial court record. And I’m stuck with what the trial lawyer gives me – I’m not allowed to add any evidence or documents to it. It’s up to you, the trial attorney, to make sure that your appellate lawyer gets a record that allows him or her to preserve your victory or overturn your loss. Here are some tips to keep in mind – before, during, and right after trial. I know you have more important things to think about when preparing for trial, so I’ll keep this short and sweet. For more detail on these issues, see Witkin, Rutter Group, or CEB. But take a few moments to remember these things – before you try your case. Court reporters earn their livings in two ways. First, they receive a daily fee for showing up in court and transcribing what is said. Second, if a party wants a written transcript of what was said, that party pays the court reporter to prepare the transcript. Do not try to save a few bucks by not arranging for a court reporter. 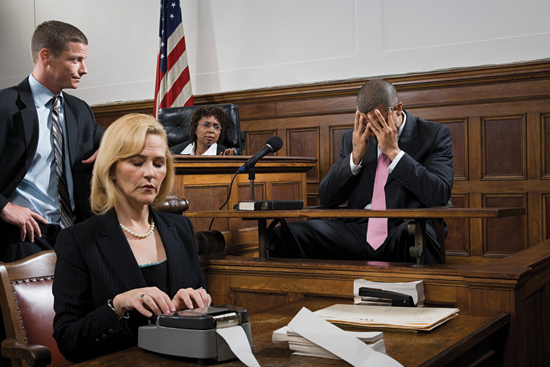 If the case is worth trying, it’s worth having a court reporter. If you appeal with no reporter’s transcript, the appellate court will presume just about everything against you unless you provide them with a record of what happened at trial. There are alternatives. It’s possible to reconstruct what happened via an “agreed statement,” where you and your opponent agree on what the testimony and other evidence showed. This is a very weak substitute for a reporter’s transcript, because your opponent is likely to be uncooperative. Another possibility is a “settled statement,” where the trial judge establishes what happened at trial. As this is the judge you are trying to get reversed, she too might be less than cooperative in giving you a summary of the evidence in a favorable way. Only a court reporter’s transcript can show the appellate court exactly what happened in the trial court. And you don’t need cooperation from your opponent or the court to get it. Be sure to have a court reporter present for every hearing that might possibly raise an issue for appeal. This includes hearings on in limine motions and procedural issues. Voir dire? That rarely comes up in appeals, so most attorneys do not have a court reporter present for voir dire. But if the case is big enough, do it. You never know. Having the court reporter in court does no good if the court reporter is not taking down what is said. So make sure the court reporter transcribes what is said at side-bar conferences, discussions in the judge’s chambers, and the like. Some judges might resist, as this takes a bit more time (and some judges don’t like being watched by appellate courts). Tell the judge (politely) that you would like the court reporter to be present because important issues might be discussed and ruled upon. If the judge won’t do it, at least insist that the court put on the record the side-bar or chambers rulings. I recently handled an appeal where the judge heard argument on an important jury instruction in chambers. The trial attorney who retained me for the appeal had asked the judge to bring in the court reporter, to get the discussion on the record. The judge refused. When they all returned to the courtroom, the judge announced his ruling on the motion. The rebuffed attorney then said, “Your honor, I’d like the record to show that in chambers I objected to this jury instruction, and you overruled my objection. And you denied my request to have the court reporter present during that discussion.” Bold move, but it made my job a lot easier. I now had a record showing that he had timely objected, so there was no waiver of our right to raise the issue on appeal. And the record of the judge’s obstinacy gave me some ammo to make the judge look bad. When you object, you must state all grounds for your objection. (Evid. Code, § 353(a).) Don’t argue, and only a word or two (“hearsay,” or “beyond his expertise”) is needed. Any ground not stated is waived on appeal. (Evid. Code, § 353(a).) Appellate courts strictly enforce this rule, so when in doubt, be sure to mention a ground. Better to be overinclusive than under-inclusive. If the judge sustains an objection to your evidence, make an offer of proof. Simply tell the judge – on the record, but out of the jury’s presence – what the witness or document would have said. Evidence Code section 354(a) requires an offer of proof to include the “substance, purpose, and relevance” of the evidence. The law does not require you to include in your offer of proof a showing of the materiality of the evidence, i.e., how important it is to the outcome of the case. But do it anyway, because it will help your appellate lawyer show that the judge’s erroneous ruling was prejudicial – which we need to show in order to get a reversal for that error. If you have a problem with a proposed jury instruction, object on the record, and spell out why. If you don’t, you’ve waived the issue and blocked your appellate lawyer from arguing it on appeal. Special verdict forms can be a minefield of potential error. The form might look pretty clear to you, but a group of lay jurors might misunderstand it and screw it up with inconsistent or unclear answers. I recently handled an appeal where the jury returned a special verdict finding X liable for $5 million and Y Partnership liable for $3 million. The problem: X was the general manager of Y, and all the wrongful acts were committed by X. So, did the jury intend to award a total of $8 million (i.e., 5 + 3), or just $5 million? No way to tell from the form itself. On appeal, we’ve had a hell of a job trying to reconstruct what the jury probably did, from the evidence, the jury instructions, etc. Careful thought into making sure the special verdict form was clear would have saved everyone a lot of time, expense, and risk. Try this. When you’ve drafted a special verdict form, or when you’re reviewing one your opponent drafted, try very hard to imagine how some laypeople might misunderstand it. In fact, show it to a couple of laypersons and ask them about it. If there is any possibility of a screw-up, fix it – before it goes to the jury. If you lose a bench trial, be sure to request a statement of decision. If you don’t, the appellate court will presume that the trial court resolved every contested issue against you. If you do request it, the appellate court will look to the statement of decision to see what the trial court actually found and how it reasoned. That makes it easier to get a reversal. The statement of decision must explain the legal and factual basis of the decision “as to each of the principal controverted issues.” (Code Civ. Proc., § 632.) But it need not go into detail, such as why the judge believed one witness rather than another. Only “ultimate facts” need be found. The loser may then object to the proposed statement of decision, within 15 days after service of the court’s proposed statement of decision. (Code Civ. Proc., § 634; Rule of Court 3.1590(g).) Failure to object waives the right to raise those issues on appeal. Object to the proposed statement of decision to the extent it omits discussion of an issue you’d like to raise on appeal. If you don’t do this, you might waive it. But it’s usually not a good idea to object to findings against you. You don’t have to, because the judge did address the issue. So not objecting does not mean you waive your challenge to the finding on appeal. Many lawyers object because they think their objections might persuade the judge to change his mind by objecting. This never (well, hardly ever) works. You already argued against the major reasons the court found against you – it didn’t work then, and it’s not likely to work now. And if you re-argue the issue in your objection to the proposed statement of decision, you might pay a steep price: you’ll be giving the winner an easy way to block your appeal. If she’s smart, she’ll simply ask the judge to change the statement of decision to answer your objections. For example, if you object that the judge failed to consider Mr. M’s testimony, the winner can get the statement of decision changed to say “I considered Mr. M’s testimony, and I conclude that it is not credible.” That pretty much kills your chance of challenging that finding on appeal. If you won the bench trial, you will get what you came for: a judgment. So why should you care about how the statement of decision is drafted? Because if there is an appeal, the appellate judge will read the statement of decision – possibly before she reads anything else. She cares what it says, because it’s signed by one of her colleagues – a neutral decider, unlike the lawyers. So if the trial judge directs you to draft the statement of decision, treat it as a short brief. State the facts clearly, to be read by someone who knows nothing about the case. The reasoning should be clear and persuasive. Keep in mind the standard of review on appeal. The appellate court reviews de novo (i.e., without deference to the trial court) issues of law and contract interpretation, so it’s better not to have the trial court’s ruling depend on those. If you won in the trial court, you do not want de novo review – which gives the appellant a fresh new shot at winning the case. It’s much better to set up an “abuse of discretion” or “lack of substantial evidence” standard of review. You can do this by making the trial court’s verdict turn on the credibility of witnesses. So, it’s better if the statement of decision says it’s based on the judge believing your witness rather than your opponent’s witness. In fact, if you can persuade the trial judge to find that your opponent lied on the witness stand (more tactfully, “lacked credibility”), the appellate justices are unlikely to be very receptive to his legal arguments for reversal. If your opponent objects to the draft statement of decision, don’t fight him. He’s giving you a preview of his arguments on appeal, so take the steam out of them now by addressing them in the statement of decision. If he says, “the Statement of Decision failed to discuss X,” change it to include a discussion of X – even if you don’t think that discussion is necessary. 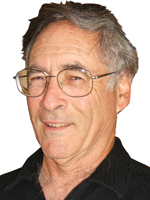 Myron Moskovitz is author of Moskovitz on Appeal (LexisNexis) and Winning An Appeal (5th ed., Carolina Academic Press). He is Legal Director of Moskovitz Appellate Team, a group of former appellate judges and appellate research attorneys who handle and consult on appeals and writs. See MoskovitzAppellateTeam.com. He can be contacted at myronmoskovitz@gmail.com.